Tommy Hull is a native Texan who was raised in the Texas hill country. A class of 1999 graduate from Llano High School, he attended the University of Texas at San Antonio with his high school sweetheart and eventual wife, Brittany. Tommy and Brittany have a young daughter named Katelyn that keeps them both busy while at home. During college, Tommy gained valuable real world experience and knowledge by completing several internships with private law firms, some specializing in criminal defense as well as working in the prosecutor’s office of the City of San Antonio. As a former felony chief prosecutor for the state of Texas, Tommy understands that just because someone is charged with a crime does not make them a bad person. It fact, being charged with a crime does not even make someone guilty of anything. It is the state’s responsibility and burden to prove guilt in a criminal case and there are many obstacles and areas of weakness that may be discovered and attacked by an aggressive criminal defense firm seeking to protect your rights. Tommy would like nothing more than the opportunity to use his exceptional courtroom experience and skills to protect your rights in any criminal matter. He graduated from college in 2004 with honors and the distinction of an academic all-American, along with several other prestigious academic accolades. During that time, Tommy was able to balance a double major class load with working in the legal field, ultimately earning bachelor degrees in both Political Science and Criminal Justice with a minor in Legal Studies. After receiving several scholarship offers from in-state and out-of-state law schools, Tommy accepted a full academic scholarship from the Texas Tech School of Law. Throughout law school he continued to gain not only knowledge from the classroom, but valuable experience working at various criminal defense and litigation firms throughout the Lubbock area. 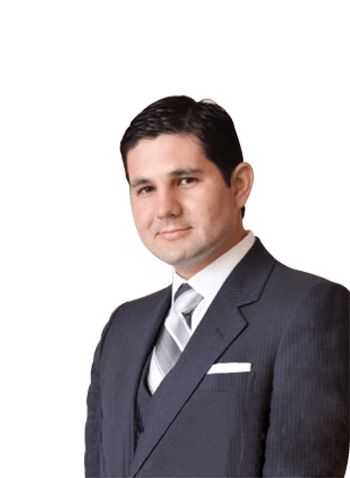 Tommy graduated from law school in 2007 and upon passing the state bar exam the first time he took it became licensed by the State Bar of Texas to practice law later that same year. He is also federally licensed by one of the United States district courts. After graduation, he accepted employment with the Midland County District Attorney’s office as a misdemeanor prosecutor. In less than a year he was promoted to a felony prosecutor and within months of that promotion named the trial team chief prosecutor for one of the Midland County district courts. During his time as a prosecutor he was responsible for supervising all aspects of preparing and trying misdemeanor and felony criminal cases. He has extensive experience conducting jury trials in everything from a Class “C” misdemeanor to first degree felony murder. Over the years, these experiences provided him with a unique insight into prosecuting crimes and the criminal justice system in its entirety while forging strong relationships within the Midland legal community.